Cycling an aquarium is the most important thing that you will ever do to ensure the long term health of your fish, yet few people who are starting out with new aquariums have ever heard of it. And the consequences of not cycling an aquarium can be dire, and often results in tank full of dead fish – which is usually followed by people giving up on keeping fish in frustration. So to start with, what is cycling? To put it as simply as possibly, cycling an aquarium is the act of building up beneficial bacteria in an aquarium, that break down the fishes waste. 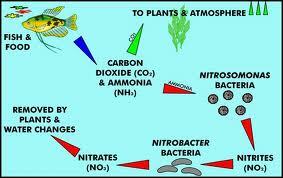 Some people may remember the nitrogen cycle from high school science class, and this is a limited version of that occurring in the tank. Through cycling, bacteria that will break down ammonia and nitrates are slowly established in the tank. And when I say slowly, I mean very slowly. Most people are used to the idea of hordes of bacteria multiplying almost overnight, but the bacteria that process ammonia and nitrates take weeks to grow. So it needs to be closely monitored to see where you are in the cycle. Once you have properly cycled a tank, any fish that are added to the tank won’t die the first time they tank a poop. The bacteria that you have helped to establish, will first break down the waste into ammonia, then into nitrites, and finally into nitrates which are then removed during weekly water changes. For many years, using a few sacrificial fish was the most common way to cycle an aquarium. Nowadays most people view this method as cruel, but it is still probably the most popular way to cycle an aquarium. One of the major selling points, is that it provides some action in the tank – instead of just watching an empty tank for weeks on end. To start the process of cycling an aquarium with fish, you first need to add a handful of small, very hardy fish. The most common fish to use are zebra danios, and these little fish can often cycle an aquarium with few ill effects. Once the fish have been added to an aquarium, their waste will begin to break down into ammonia, and feed the few the bacteria that exist in the tank that feed on ammonia. These bacteria will start to multiply and will break down the ammonia into nitrites. The process then repeats itself, as bacteria that feed on nitrites start to reproduce, and break the nitrites down into nitrates. The nitrates can then only be removed through the addition of live plants or through water changes. The reason that cycling an aquarium with plants is generally frowned upon is that ammonia and nitrites are deadly to fish. Any fish that are present as the bacteria build up to break these down can suffer immensely, and will likely end up with reduced life spans. The more modern method for cycling aquariums is the fishless cycle. This process is often considered boring by many new aquarists who want nothing more than to add fish to their tank, but is far more humane to the fish. Instead of adding fish to the tank, and allowing their waste to start the cycle, another source of ammonia is added to the tank. To start with, pure ammonia, or an acceptable alternative is added to a newly set up aquarium. If you can’t get your hands on ammonia, you can add a large quantity of fish food, or some people have reported success by adding a shrimp to the tank (not the living kind). The source of ammonia will start to feed the bacteria in the tank, and they will begin to multiply and break down the ammonia in nitrites. The population of the bacteria that feed on nitrites will then begin to grow and begin to convert the nitrites into nitrates. Most people will check the progress of the cycling with regular tests – first for ammonia, then nitrites and finally nitrates. This will help to ensure that the process is progressing properly, and will help you identify any issues. To ensure that the process has been completed successfully, you will have to test it at the end. If it was done properly, you should have levels of ammonia and nitrites that both read 0 ppm, and nitrate levels that are under 20 ppm. If you are set on cycling an aquarium with fish, you should at least consider adding plants. Plants will significantly speed up the cycling process, and will use both ammonia and nitrites at fertilizer. This helps to lower the levels of ammonia and nitrites in the water, which will be greatly beneficial to the fish. 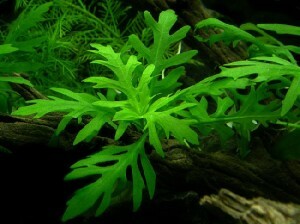 When choosing plants to use, you should only select fast growing plants like Hornwort, Anacharis, Water sprite and Water Wisteria. While slower growing plants can be added later, they should be avoided since they won’t be able to keep up with the levels of ammonia and nitrites. There are several ways that you can jump-start a cycle, and speed up the process. Unfortunately, all of these methods require access to an existing, established aquarium so they may be difficult to come by for someone first setting up an aquarium. Gravel – The gravel from an existing tank will already have all of the beneficial bacteria present on its surface. This can be added to a new tank, and the bacteria from the gravel will quickly colonize the rest of the aquarium. This can cut the amount of time needed to cycle a tank, and is the method most often used among aquarists to help cycle a new tank. What type of filter media would be the best to cycle a 10 gallon aquarium? I have activated carbon. They sell a product called Safe Start (or something like that) that is basically a bottle of bacteria you can just pour into your aquarium. Any fish store would have it. I usually add a bottle of that and do a 20% water change after about 3 weeks, and I have never had a problem. I have a 220 gallon, and tons of filtration. I think the most important thing is to have good heaters so so the water stays constant. You can also buy this stuff that is like carbon and you put it in your filter, called Zeolite that removes nitrites and ammonia until it gets cycled. Between the Zeolite and the Start Safe you should be fine, just get a good heater and a good filter. For a 10 gallon, you should be fine. I’ve heard pretty good feedback about this the last few years, but I haven’t tried it myself yet. The next time I set up a tank, I might try some and carefully monitor the ammonia to see how well it works. Don’t put stuff like Zeolite or “Ammonia Remover” into the filter. These get rid of ammonia, but you need some ammonia to get the bacteria that remove ammonia multiplying and working. If you put these chemicals into the filter, you will never get the ammonia level down to zero. I had that problem for months until a local pet store guy told me to remove them from the filter. The only things that should be inside the filter are the sponges and, maybe, some of those porous ceramic pellets. After I followed his precious advice, the ammonia and nitrite levels went down to zero and stayed there. My setup: aquarium 24″ x 12″ x 18″ high. Filter: Fluval 306 external canister filter. Current aquarium inhabitants: 4 zebras, 6 neons, 4 male guppys, 3 dwarf loaches, 3 Virginia corys, 3 panda corys, 3 Julii corys, 2 galaxy rasboras. This is about the limit for this aquarium size, but there is no ammonia. The Fluval filter works very well, though its instruction manual is not very good and it takes a while to figure out how to operate the filter properly. This company is also guilty of pushing the bags of chemicals to go inside the filter. That is very irresponsible of them. Also, the slots in the filter intake allow small fishes to be sucked in. I cover the intake with some mesh cloth. Bad intake design. Hi! If I add water from other aquariums and an extra filter from one of my larger tanks to a new tank, would I still have to cycle it? The water won’t make a difference, but if you add gravel or the filter you probably won’t need much in the way of cycling. But you still need to only add a few fish at a time (assuming they’re small fish), and you’ll need to monitor the water to watch for any ammonia spikes.